Creative blankets and unusual bed sheet designs from all over the world. Creative bedding set inspired by the iconic video game console. Embroidered bed sheets will imprint a message on your body. 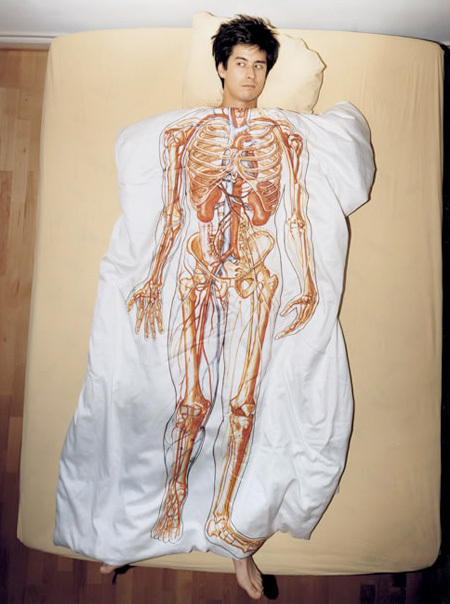 Creative duvet cover designed for people who study anatomy. 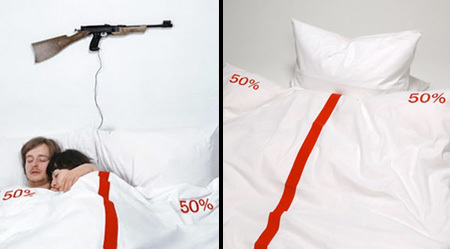 These clever bed sheets were designed to promote Che Men’s Magazine. 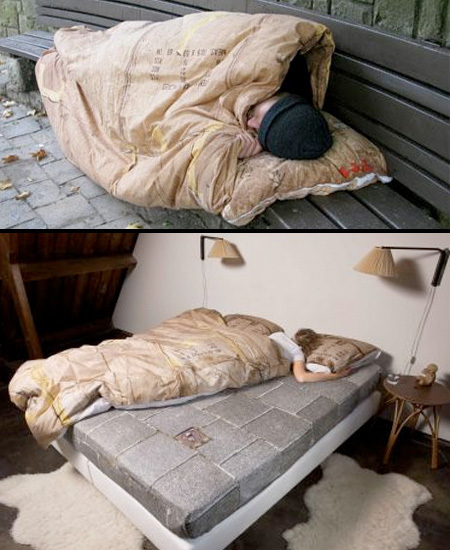 Cardboard and concrete inspired bed sheets designed to raise awareness about homeless people. Unique duvet cover is clearly marked down the middle indicating how much of the blanket is covering you. Once upon a time there was a blanket. 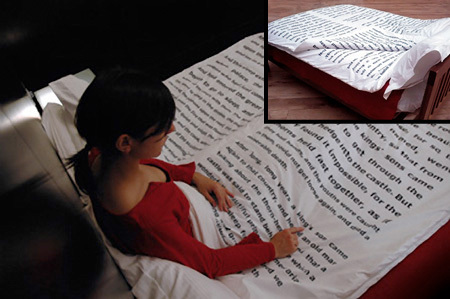 This blanket had several sheets containing a traditional bedtime story. Creative Adam and Eve inspired blanket cover for your bed. Portuguese Sleep Association reminds you that driving tired can kill. 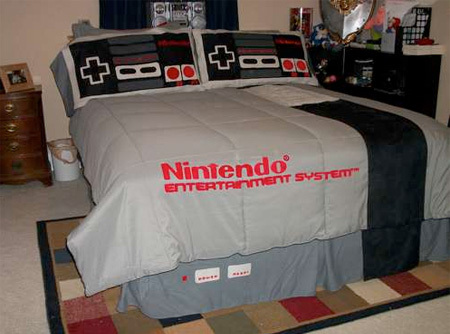 The NES Bedsheets and Bedtime Stories blanket are my favorite! I think the sleeved blanket is awesome! especially for the people who like reading as me. I love Make Love Not War Blanket! there should be bedsheets with pictures of bedsheets on them! 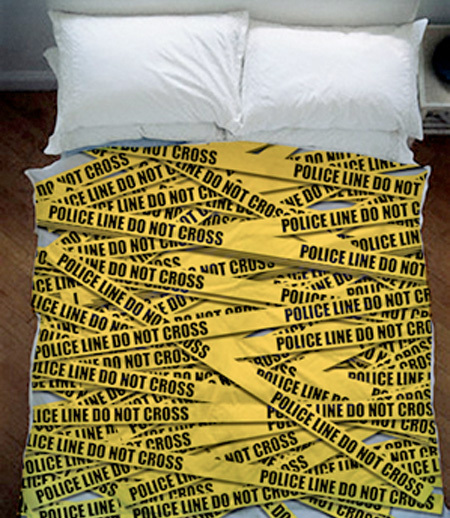 “Never Sleep Alone Bed Sheets” – good idea!!! I am wondering if there is such a company that could make these sheets with personal pictures of my own.